The working memory hippocampus loop provides a mental workspace, protected from distraction and emotional reactivity, which enables the mind to make quick and considered decisions and action plans. This loop supports the construction or manipulation of visual images and the temporary storage of current information, such as a recalled seven digit telephone number. This article presents an original view, based on a new hypothesis, presented in this website, that human memory is stored as memories for combinatorial patterns in nerve cells. The firing of trillions of such patterns by nerve cells support mental activities and the recall of remembered mental functions. For remembered activities, the nerve cells are recalling combinatorial memories stored within nerve cells. When a person rides a bike, her motor systems recall procedural memories. A person, who recalls a past event uses his episodic memory. A person who recalls a number during calculation uses his working memory. Such events are triggered to meet the objectives of the executive regions in the prefrontal cortex (PFC). The PFC dispatches a combinatorial pattern of nerve impulses to express the will of the individual as desiring a specific objective.The relevant regions recognize the combinations and respond to this request. The sensory data concerning images manipulated in the mind are made continually available by the hippocampus for processing through recirculating loops. This website suggests that generic knowledge, domain knowledge and episodic memories are processed as combinatorial patterns by the hippocampus. The prefrontal regions manage attention. The basal ganglia manages preprogrammed sequences of images to combine one image with another to create a new image. The PFC was noted to be active, while sensory information was temporarily unavailable. Recent experiments have linked the hippocampus to the maintenance of working memory. Baddeley and Hitch suggest the presence of slave systems, which manipulate data in working memory. Others argue that data manipulation also uses long term memory. Recognizing the neural instructions from PFC, the basal ganglia initiates pattern recognition sequences (such as the manipulation of images), which help to meet the request. The system wide data concerning the manipulation process is continuously articulated and refreshed in a loop circuit to the prefrontal regions by the hippocampus. The availability of such data, after the sensory inputs cease to be available, through the recirculating loops of the hippocampus enables the decision making processes of PFC. The hippocampus subsequently assists the recording of such sequences of neural firing patterns as long term episodic memories in extensive regions of the cortex. 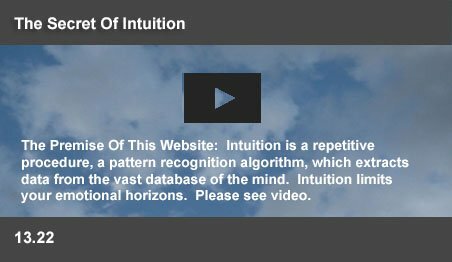 This website suggests that intuitive recognition of combinatorial patterns enables the mind to respond in context by identifying patterns stored in a vast memory. Such memories were discovered to be applied for hundreds of millions of years by the olfactory sense (Nobel Prize 2004) for the instant identification of odors. Complex intelligence depends on the memories of nerve cells for dendritic firing combinations for signals from numerous pattern sensing regions. This website suggests that a neuron fires, when it recognizes a combinatorial pattern in the array of its receiving dendrites. The pattern may be a single signal in the array, signals in a channel in the array, or a specific combinatorial pattern of signals in the array. This website suggests that implicit memory for an odor is assembled, when nerve cells routinely record the related firing combinations. Such memories are further consolidated through LTP, neural plasticity, or neuronal reverberation. Such memories are represented as arrays of combinatorial patterns in hierarchies of recognition regions, which recognize objects and events based on sensory inputs. This website suggests that episodic memories can be represented in the system as arrays of combinatorial codes. The consistent firing of a single neuron in recognition of a complex concept implies that it is one element of an array, which represents a specific category of thought. It has been discovered that individual neurons fire consistently on recognition of such a subtle concept as “Clinton.” The neuron was reported to respond for varied photos and even references to “The President.” Thus the combinatorial reference structures in the hippocampus may be able to access the length and breadth of human thought as generic knowledge, domain knowledge and episodic memories. Recalled patterns representing objects and events (episodes) and their links enable the complex decision making processes of the PFC. The basal ganglia developed as a convergent cortically re-entrant loop along with the development and expansion of the cortical mantle in all species of vertebrates. A major skill of the organ was to enable the PFC to focus attention on any part of the body. Maunsell studied neural signals in the visual area of the cortex of monkeys, when viewing a swarm of dots on a computer screen. In this cortical region, specific neurons fired for specific dots. When the animal focused on just one of the dots, the directed attention caused the neurons that signaled its motion to respond more strongly. At the same time, neural signals related to other dots were attenuated or filtered out. Under instructions from the PFC, the basal ganglia dispatches the impulses, which are recognized by the observed area, which responds with increased neural activity, while the neighboring neurons became inhibited. Paying attention to your toe makes your PFC become aware of the pressure of your shoe on it. The manipulation of an image is achieved through a sequence of thoughts. Ann Graybiel recorded neural activity in the basal ganglia of a monkey, while it learned to associate the sound of a click with the availability of a sip of juice. A sip of juice is achieved by the animal through a sequence of muscle movements. With the start of activity in the throughput lines of the region, “spidery arms that eavesdropped” on the flow fired in rhythm, and learned the sequence of movements. Graybiel noted that, later, the expression of the objective by the PFC (or by emotions) caused the basal ganglia to mirror the firing rhythms, converting it into an act. A television set recognizes the selected movie channel (the drive objective) and delivers a preprogrammed set of images, which enact your movie. The basal ganglia carry a galactic store of preprogrammed habitual actions, finely tuned to meet specified objectives. The manipulation of an image within the mind is such an objective. The basal ganglia selects the appropriate sequences of thoughts, which combine one image with another to enable you to visualize a man with the head of a horse. The prefrontal regions set objectives and the basal ganglia act to achieve those objectives. Joaquin Fuster recorded the electrical activity of neurons in the PFC of monkeys while they were doing a delayed matching task. In that task, the monkey observed a bit of food being placed under one of two identical looking cups. A shutter was then lowered for a variable delay period, screening off the cups from the monkey's view. When the shutter opened, the monkey was allowed to retrieve the food. Successful retrieval required holding the location of the food in working memory over the delay period. Fuster found neurons in the PFC that fired mostly during the delay period, suggesting that such firing represented the food location while it was invisible. Later research also showed such activity in the posterior parietal cortex, the thalamus, the caudate, and the globus pallidus. The persistence of the image in the prefrontal regions, while the shutter was closed follows post-perceptual processing in the absence of sensory stimulation. This article suggests that the hippocampus has mechanisms, which can stimulate such activity. This is part of the brain's process of encoding and binding experiences into cohesive units and registering it into memory. Space and time book marks enable the mind to recall specific images to manipulate them. The hippocampus uses eye movement and head direction data as an inertial compass to chart geographic movement and position. Visual and sound information triangulate the location. These eye and ear coordinates are mapped by head direction cells, grid cells, and border cells in the entorhinal cortex and the closely linked hippocampus. The tactile, gustatory, olfactory, spatial, and motor activities produced by the free exploration of novel objects trigger precise contextual combinatorial links in multiple brain structures. Attention is the process which dramatically increases neural activity. After a novel experience for an animal in a cage, the correlation of neuronal reverberation between groups of cells increases markedly, continuing for several hours after the learning experience. When these active groups of neurons fire in rhythm, among millions of silent ones, they store combinatorial memories. Over many sleep/wake cycles, the hippocampus spreads associative learning to extensive regions of the nervous system. These same mechanisms enable the organ to sustain the current thoughts in circulation, to enable the PFC to manipulate them. Recent experiments by Ben-Yakov and Dudai (2011) also link the hippocampus to the maintenance of working memory. In this case, a “stimulus offset” has been reported, where events become “time locked,” after perception, in the absence of sensory stimulation. In their (fMRI) experiments, they identified bilateral hippocampus activity starting immediately after stimulus presentation. Post-perceptual processing in the absence of sensory stimulation was time-locked to the offset of sensory input. The activation was found to increase for subsequently remembered over forgotten content. Such post-stimulus activity may be encoding and binding experiences into cohesive units and registering it into memory. Working memory maintenance may be part of the long term memory maintenance process by the hippocampus. This is achieved by periodical replay of information in the hippocampus with a rhythmic activity. The multicomponent model of working memory proposed by Baddeley and Hitch suggests a central executive, which is responsible for directing attention to relevant information, while suppressing irrelevant information and inappropriate actions. The executive coordinates mental activity, to complete more than one task at the same time. The central executive has two "slave systems." One processes phonological information (the sounds of language), preventing its decay by continuously articulating its contents, thereby refreshing the information. The first slave system remembers a seven-digit telephone number as long as it is repeated. The other “slave system” manipulates visual and spatial information, which deal with shape, color, texture and location. Later this model added an episodic buffer, which temporarily maintains episodic memories. This article suggests that all processes of the mind can be shown to be achieved through pattern recognition of contextual memories. The process can be shown to have the capability to recognize a pair of scissors by touch, or the capability for riding a bicycle. The PFC, the basal ganglia and the hippocampus perform these functions, utilizing the numerous special purpose recognition regions of the brain. Ericsson and Kintsch argued that the seven chunks of information available to working memory is inadequate to understand the complex relations between thoughts expressed in a novel or a paragraph of scientific text. Ericsson and Kintsch suggest that the mind accomplishes this by storing most of what we read in long-term memory, linking them together through retrieval structures. We need to hold only a few concepts in working memory, which serve as cues to retrieve everything associated to them by the retrieval structures. The main role of the hippocampus is to enable an animal to find its way to a hidden source of food. This website suggests that to enable the food caching ability of animals, the hippocampus may store the last known status of available knowledge. Thus, when we read a novel, or experience a new situation, each sentence, or new insight may be only updating the most recent information. The ability to remember the contents of a sentence may be adequate to add the new understanding to this massive current database of episodic memories. Much information overload may be avoided with the capacity of the mind to remember the last perceived state of any situation. 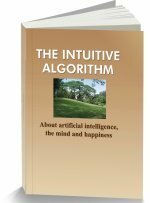 The mind has a remarkable capacity to pick up from the last viewed position of a book, or even a movie. The hippocampus may store links to the last viewed status of a hero, or the current stage of a design solution. The information in a sentence may be adequate for us to comprehend a new concept. As in the Ericsson and Kintsch model, the content of working memory as well as the understanding of sentences may only require the same time interval in the working memory for post-perceptual processing in the absence of sensory stimulation. This page was last updated on 08.10.2018.